They fell in love over sushi! 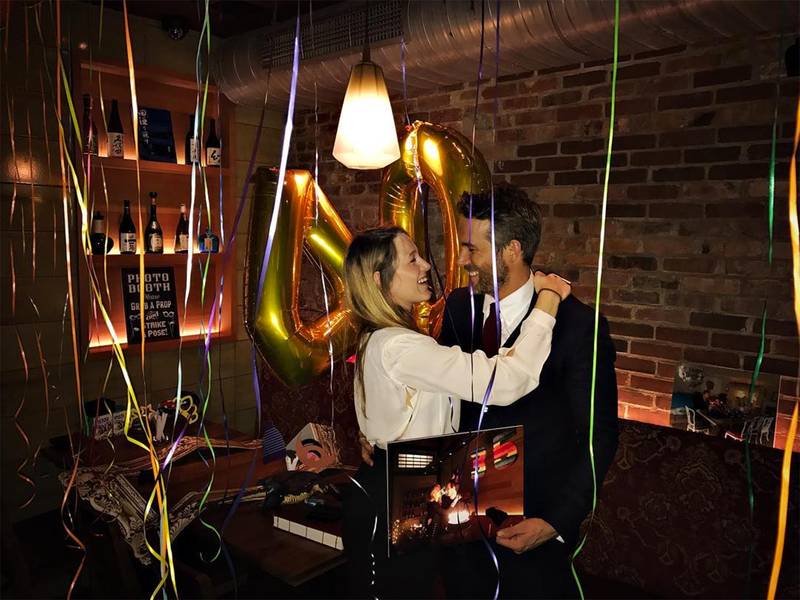 Blake Lively celebrated husband Ryan Reynolds&apos; 40th birthday by returning to the restaurant where it all began (kind of) for the couple, and it was too cute for words. The Shallows actress, 29, shared a photo of herself and Reynolds surrounded by streamers and giant gold balloons at O Ya Japanese restaurant in NYC. In the pic, Lively smiles and puts her arm around around her husband, who is holding a framed photo that appears of be of the eatery. PHOTOS: Blake Lively's Best Post-Baby Styles: See Them Here! The following year, the couple tied the knot in Mount Pleasant, South Carolina, in September 2012. They now share daughter James, 22 months, and welcomed a newborn In September. The couple have yet to reveal the baby’s name or gender. However, Reynolds appeared to let slip they had another girl in a funny tweet last week. “The mobile above my daughter’s crib is just a whole bunch of NuvaRings. So she remembers how lucky she is,” he tweeted on October 20.